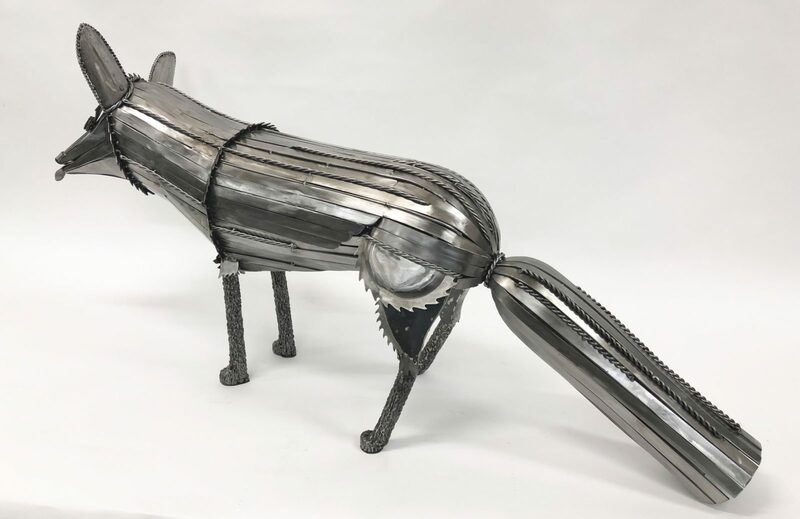 Fox in Winter II, commissioned through the Noyes Art Gallery, Lincoln, NE. Fox in Winter II, face view, commissioned through the Noyes Art Gallery, Lincoln, NE. 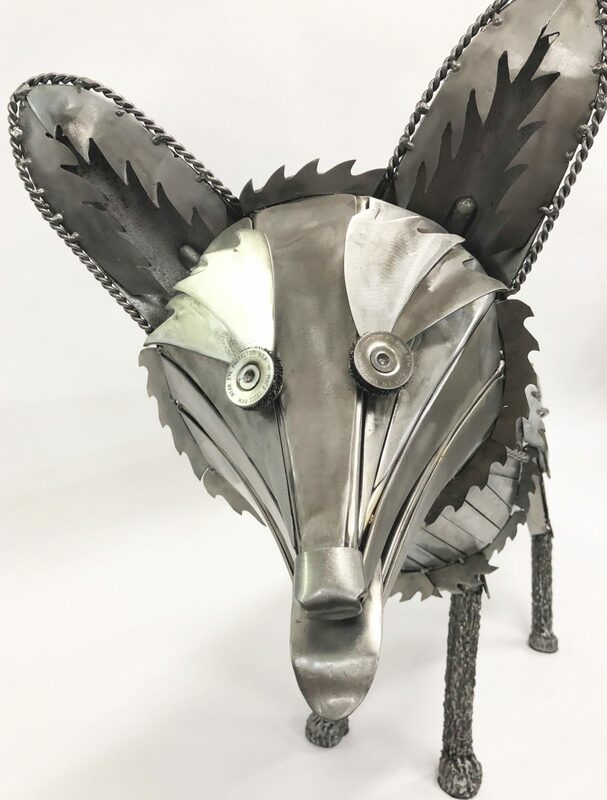 "Winter Fox" Materials: Sawblades, wire brushes, flat and round stock, pipe, triple twist scrap, candle holders, clear coat. Weight: 49lbs. $1450. SOLD!